Dasra Philanthropy Week brings together leading development practitioners, experienced philanthropists and dynamic social entrepreneurs to exchange ideas, debate issues and spark collaborations that accelerate social change. The 2017 week-long events brought together over 400 experts and leaders to strengthen the movement on strategic philanthropy and exchange ideas on giving collaboratively. Over 130 philanthropists, sector experts and social impact leaders gathered to engage, share and learn from their giving journeys and find opportunities to collaborate and create a strategic philanthropy movement. Over 100 adolescent sector practitioners, funders, experts and government functionaries gathered to learn, engage and debate on what it would take to spark a collaborative movement that enables India’s 250 million adolescents to successfully transition into adulthood and realize their potential. 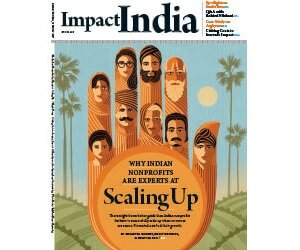 The Dasra Social Impact Leadership program (DSILP) is a platform that brings together distinguished leaders of non-profit organizations to expand their potential, deliver insights, vision and skills that help increase the impact of their social enterprise. The theme “Sustainability & Legacy” centered on unique challenges around managing complexity and sustainability in growing organizations. 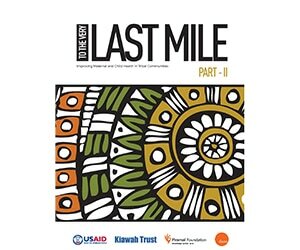 ​The report discusses the challenges faced by tribal communities in their quest for adequate and accessible maternal and child healthcare. 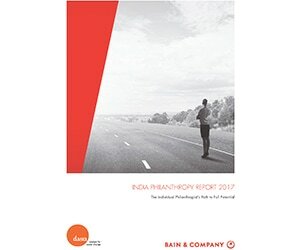 ​Dasra and Bain 7th joint edition focuses on the growing importance of the individual philanthropist journey in the overall landscape of funding for the development sector. ​This report, in collaboration with the Bank of America Merrill Lynch, focuses on employability for girls. The report lays out the difference between ‘being employed’ and ‘being employable’. ​Dasra's latest report on improving sexual & reproductive health outcomes for India’s adolescent’s profiles 22 social organizations working on the issue.